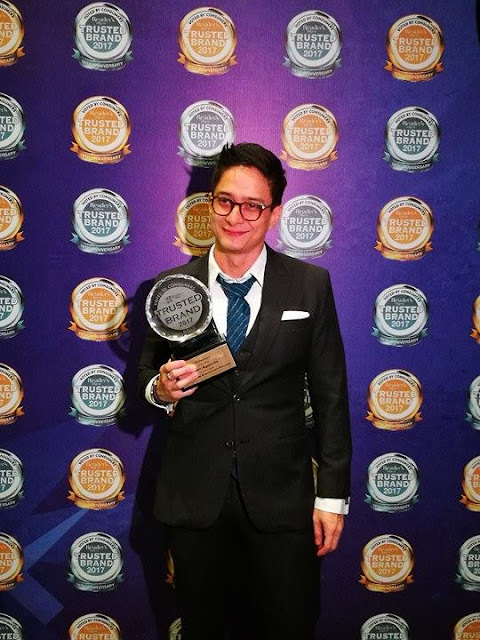 TV host Ryan Agoncillo adds another distinction to his name after being voted as the Most Trusted TV Presenter at the recently concluded 2017 Readers Digest Trusted Brands Awards held. 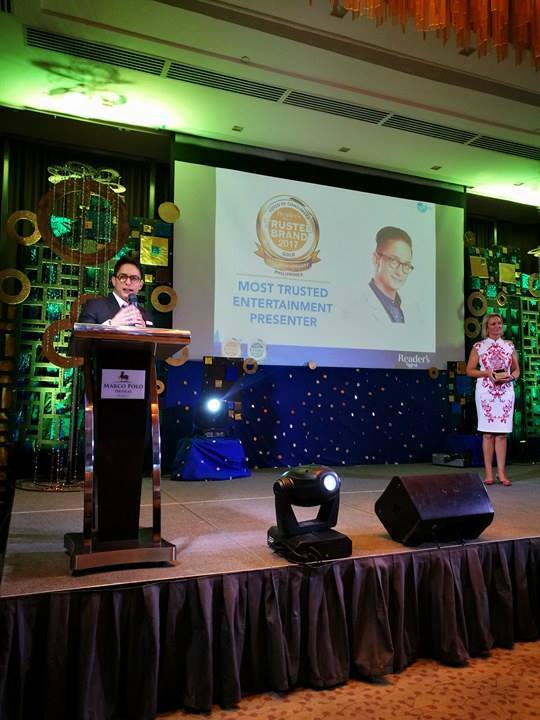 He joins a very elite group of personalities composed of Jessica Soho, Mike Enriquez, Vic Sotto, Toni Gonzaga and Manny Pacquiao who have received the Trusted Personality Award in the Philippines. It was the seventh consecutive year for Soho, the second for Enriquez and the first for Agoncillo who said it was the most special recognition he has received in his career. “This has to be the most special (award) to date, because Miss Jessica, and Sir Mike were my bosses when I was still in public affairs. I think I was just 19 or 20 back then and I really look up to them,” Agoncillo told THE STANDARD in an interview after receiving the award. “The fact that it was from Readers Digest, a magazine I grew up reading, and to be able to share the stage with my former mentors, it really means a lot. It’s not just an award that takes into account what you have accomplished on TV, but more importantly because it means you were voted by the readers because they TRUST you,” he added. “Sa ingay ngayon where everyone with a cellphone basically has an opinion, masarap ang pakiramdam na maihilera sa boses na talagang pinagkakatiwalaan like Sir Mike and Miss Jessica. It really feels good to be sharing the same title with them. “I’d like to thank my lovely date for tonight for coming with me thank you very much Ms. Judy Ann Santos. It’s an effort when you have three children already to dress up like this, Agoncillo joked. Enriquez on the other hand emphasized the importance of the event to all the awardees. “There is something that binds all of us in this room together. We all depend on Trust—from the consumers and our audiences. Without trust we are all nothing, the veteran broadcaster said in his speech. 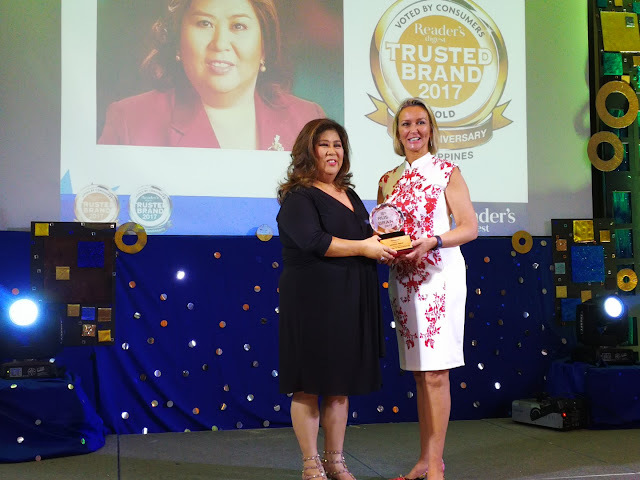 Now on its 19th year, the Trusted Brands Survey has become a benchmark in the industry for recognizing the brands and services Filipinos trust, above all others. It also honors the country’s most trusted personalities with the TV news Presenter, Radio News Presenter, and Entertainment/Variety Show Presenter category. This year the RDTB awards added six more categories, to reflect the changes in the market and recognize the new brands that have made an impact on the consumers buying habits. Among the new categories added to the Trusted Brands awards are Bakery/Pastry Shop; Dog Food; Remittance Center; Pawn shop; Coffee Shop/ Café; and Optical Shop. 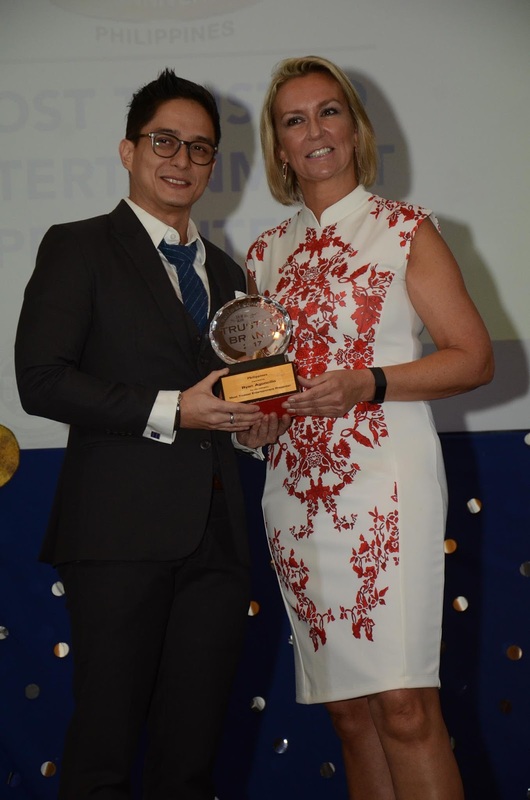 “For nearly two decades, we have been surveying consumers in major markets across Asia such as the Philippines, to ask them about the brands they believe and expect to provide premium value and exceptional service,” notes Ms. Sheron White, Group Retail and Advertising Sales Director Reader’s Digest Asia Pacific. “As such, being included in this prestigious list is a huge endorsement and one the winners should be very proud of,” Sheron added. While certain brands sign famous celebrities to create a buzz about their products, the recipients of the Trusted Brand awards have gotten the endorsement of the most important people of all—their loyal consumers. Much like loyalty, trust is something not easily measured by trends or likes on social media. Brands have to work for it for many years and goes hand-in-hand with a good reputation and delivery of customers’ expectations. It emerges out of the very best consumer experiences, and is achieved only by truly understanding your customers and not by mentions and hashtags. “Trust is that emotion that helps us in making our final decisions whether we are conscious of it or not—it is that intangible quality that we associate with reliability and integrity. Whether it is a product or service, trust is what reassures us that we are making the right choice,” said Sheron. “The Reader’s Digest Trusted Brand mark has become a trusted recognizable symbol globally. And we are honored to announce the winners of the latest survey, who will now be able to use this badge of recognition for 2016 to help consumers make the right choices. Condura (Refrigerator); Goldilocks (Pastry/ Bakeshop); Insular Life (Life Insurance); Healthway(Ambulatory/ Multi-specialty Clinic); Ideal Vision (Optical Shop); Hi-Precision (Ambulatory/ Multi-specialty Clinic); LBC Express (Remittance Center); Manulife (Investment Fund Company); Panda(Pen); PLDT Home DSL (Broadband Services); San Marino Corned Tuna (Canned Tuna); Sharp (Washing Machine) and Whirlpool (Washing Machine). 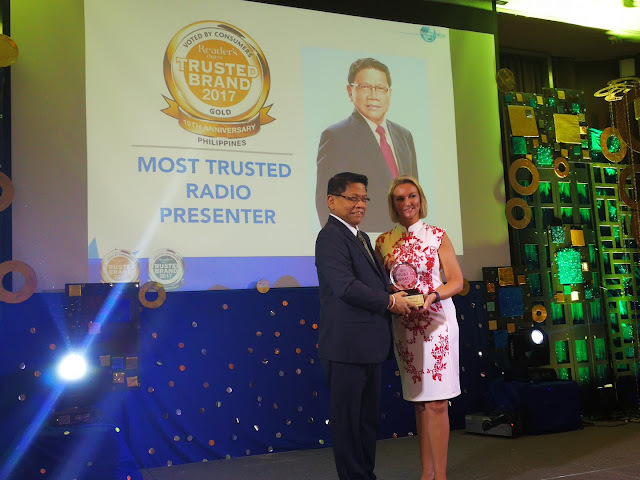 Recipients of the Trusted Brand awards were given a Trophy and will be allowed to use the globally recognized Trusted Brand Logo in their marketing collaterals and merchandising materials.